I've been on a gluten-free banana bread kick ever since I made this bread. And by "kick" I really mean it - I've made a loaf nearly every week for the last 2 1/2 months. I finally encouraged myself to depart from the loaf and venture back into the world of the muffin. 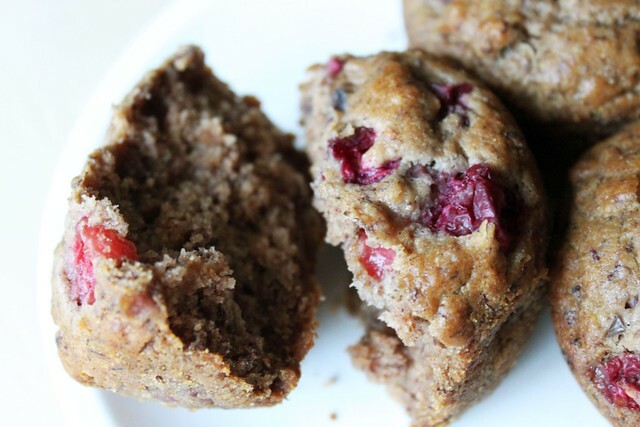 Inspired by an overabundance of bananas in our fruit bowl, I came up with this tasty vegan banana muffin recipe that features one of my favorite seasonal ingredients: cranberries. No gums, only a wee bit of starch, and no refined sugars. Hooray! 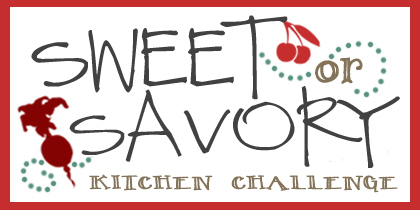 Conveniently, cranberries are this month's featured ingredient for the Sweet or Savory Kitchen Challenge, hosted by Diet Dessert and Dogs blogger Ricki Heller and me. What better reason to share my muffin recipe on the blog, right? This recipe also features a great homemade flour blend, a mixture of sorghum, millet, white rice, and arrowroot starch (also known as arrowroot flour). Ever since Shauna posted her Gluten-Free Whole Grain Muffins and the whole grain flour mixon her blog last year, I've been making many of my baked goods with various blends of flours and absolutely loving the results. It seemed she cracked the code to making a well-balanced flour blend, and the versatility of her formula allows you to use whatever flours and starches you have on hand. Brilliant. I wanted a flour blend with a light, fluffy texture and a mild flavor, so I opted for the aforementioned combination. But the benefits of sorghum and millet don't stop there. Sorghum flour is a very commonly used flour in the gluten-free flour tool box, with good reason. It has a sweet flavor, a lovely light and fluffy texture, and easily replicates the flavor, appearance and texture of wheat when used in combination with other flours. It isn't as sandy as brown rice flour, as strongly flavored as quinoa flour or amaranth flour, or as dark in color as buckwheat or teff. And best yet, it's reasonably priced. Millet flour, on the other hand, seems to occupy a less popular position in the world of gluten-free flours, which is somewhat of a mystery to me. Millet flour is at the top of my list of flours, and it finds its way into my baked goods and flour mixes on a regular basis. I love the color, the flavor, the texture, and the versatility. And, I would be remiss if I did not mention millet's impressive nutrition profile. You see, millet is naturally antimicrobial, meaning that it has inherent antibacterial qualities. For us, that means that millet may help weed out the nasty bacteria in our guts and help support the beneficial ones. It is easy to digest and has a low allergenic potential, is surprisingly high in fiber and protein, and is full of amino acids and manganese. Best yet, millet is alkalizing. While other grains and seeds such as rice, quinoa, and buckwheat acidify your system, millet can help bring your body a much needed boost of alkalizing power. Millet is not just for the birds. 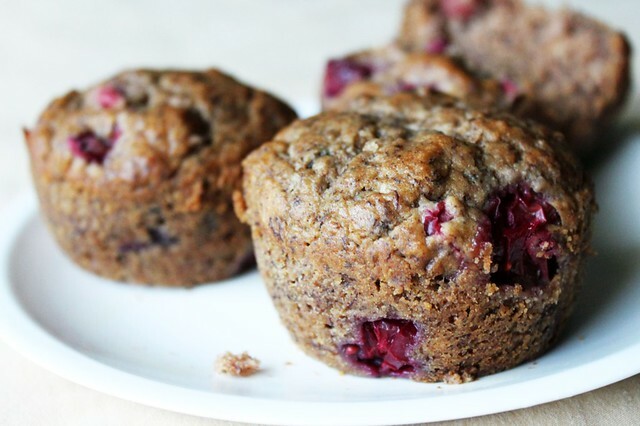 These easy-to-make muffins are light, moist, and flavorful. I love the way the sweet banana and tart cranberry interact, especially with the grouding undertones of warm spices and vanilla. For an extra punch of flavor, feel free to add freshly grated orange or clementine zest. 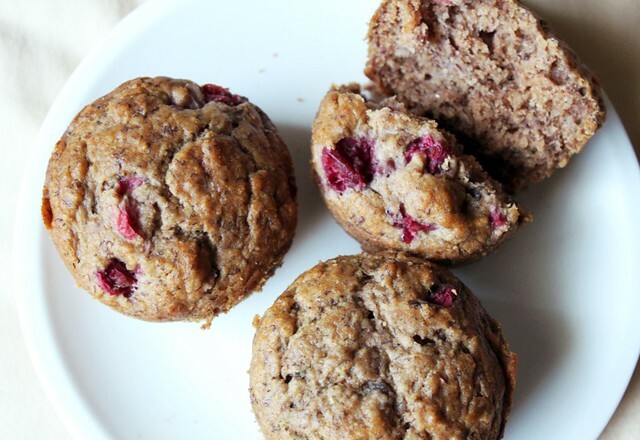 These are perfect for breakfast, brunch, or a quick snack-on-the-go. Serve with a cup of hot Earl Grey tea or chai for a lovely afternoon treat. Pre-heat oven to 350º F and prepare a 12-cup muffin tin. I this muffin tin from KitchenAid, which has removable silicon muffin cups. In medium bowl, combine flour, baking soda, baking powder, cinnamon, ginger, nutmeg, cloves, and salt. Whisk to combine and make light. Break bananas into small pieces and place in a large bowl. Mash until soft and fairly smooth with a potato masher, or use a hand mixer (my preferred method). Add liquified coconut oil, vanilla, maple syrup, and stevia liquid, and continued to mix until smooth. Then add dry ingredients, and mix until just combined, scraping sides as necessary with a spatula. Add chopped cranberries and orange zest (if using), and stir with a large spoon or spatula until they are evenly distributed in the batter. Spoon batter into muffin cups (using a cookie scoop works very well! ), filling the cups nearly to the top, and smoothing the surface with damp fingers. Place in the oven immediately and bake at 350º F for about 30 minutes, until firm to the touch and golden brown. Remove muffin pan and let cool for about 5 minutes, until muffins have started to pull away from the sides of the pan. Then remove from pan and let finish cooling on a wire rack. Once cool, store in a well-sealed container. Store in the refrigerator for best freshness. To make this flour mix most accurately, use a food scale. It will allow to measure the exact amount of flour needed, as scooping and filling measuring cups different ways yields very different results. This flour mix is very adaptable and has a mild, nutty flavor and a nice crumb. This recipe makes enough flour for four batches of muffins (if you are measuring to the exact gram) or plenty to use for other baking projects. Place all ingredients in a very large bowl, and whisk to mix and make fluffy. Store in a large sealed bag or large canister until ready to use.